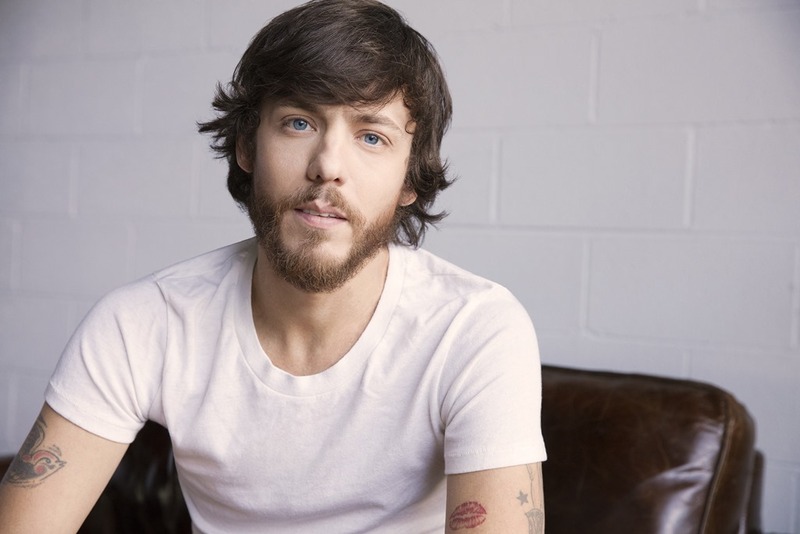 Fresh off a weekend jamming with Kid Rock during a show in Florida, ACM Awards® ‘New Male Vocalist’ nominee and Warner Bros. / Warner Music Nashville recording artist Chris Janson will bring his famous energy to CMT Hot 20 Countdown as co-host April 1. 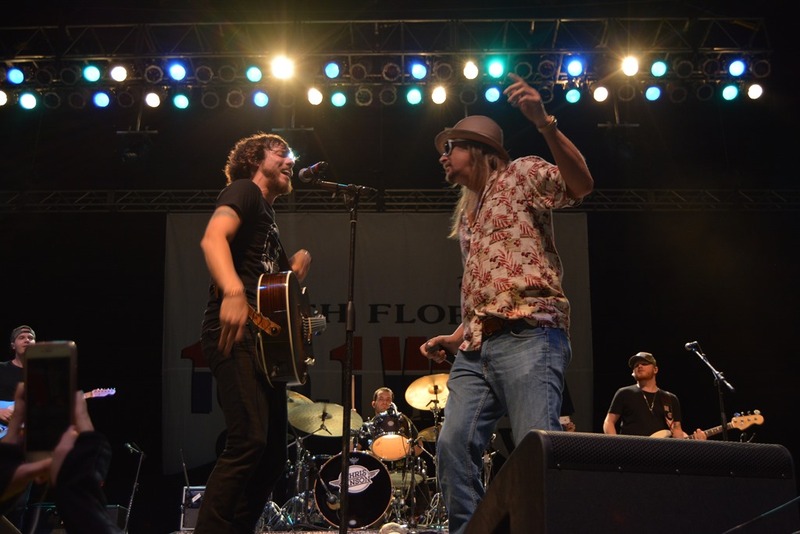 Janson also continues giving back to the community as the COPD National Spokesperson for Harmonicas for Health (H4H), a partnership with ACM Lifting Lives and the Chronic Obstructive Pulmonary Disorder (COPD) Foundation. The program works to encourage COPD patients to exercise their lungs by learning to play the harmonica. 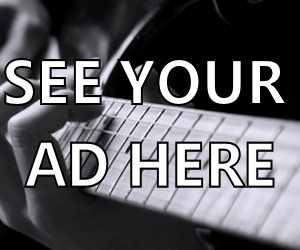 Meanwhile, the hit singer/songwriter continues to climb the charts at radio as his latest smash “Holdin’ Her” moves into the Top 20. The breakout star has also announced that he will join Sam Hunt on the road this summer for the “15 in a 30” tour, kicking off June 1 in Cleveland (full dates below), as well as Tim McGraw and Faith Hill for select dates on their “Soul2Soul” tour. 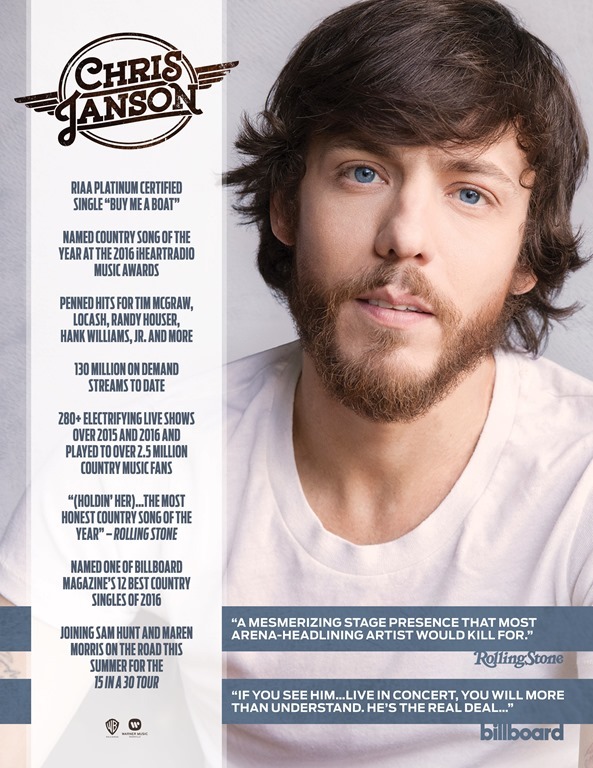 A widely praised performer, Janson has continued to tour throughout the winter and recently sold out shows in Iowa, Mississippi and more.